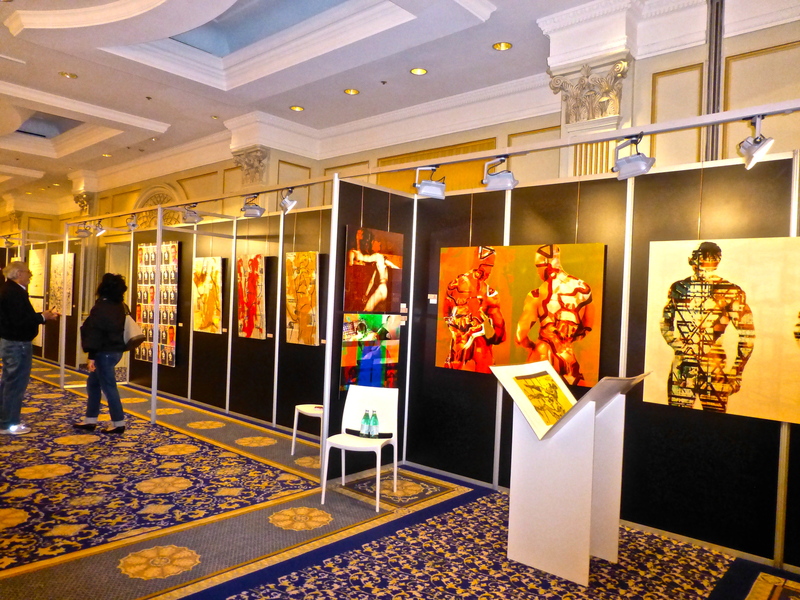 The life of an intern: Accessible Art Fair Weekend | SimplyBeing. This weekend has left me absolutely exhausted! 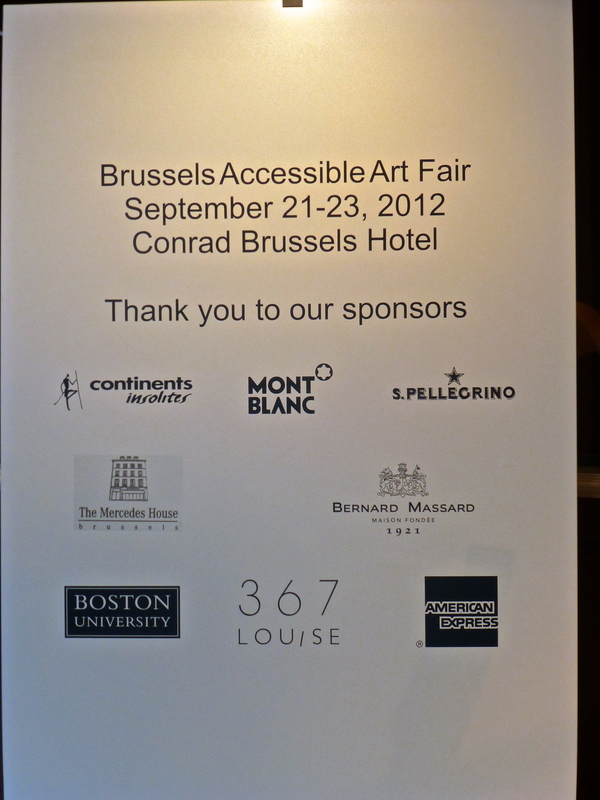 It was the weekend of the Accessible Art Fair, where I am interning during my study abroad in Brussels. 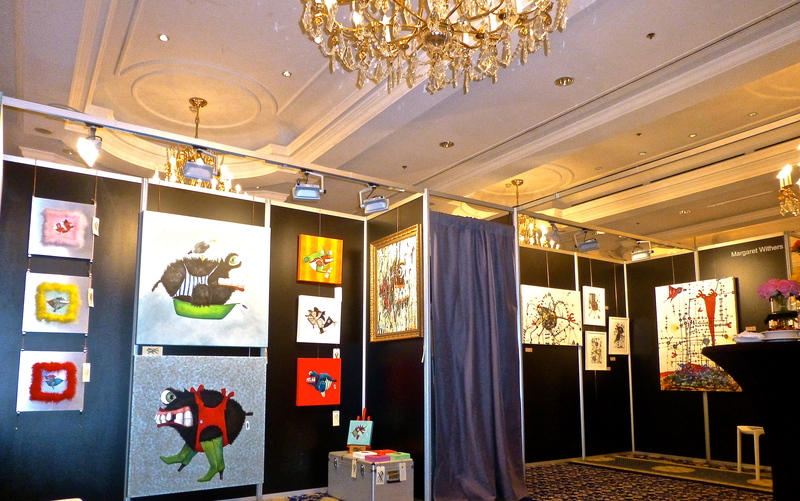 Friday was the first day of the Brussels Accessible Art Fair. I had to be at the Conrad Hotel at 9am in the morning. The day started off with a friendly “bonne journée” good day from a random old man. It truly made me smile! I anticipated a good day after that! The day consisted of a lot of preparations and accomplishing various tasks. I was also able to practice my French being that most of the artist spoke only French or just preferred to talk in French instead of English. As the art works started coming in I was amazed at all the different styles and techniques the different artists used. I was in love with the art work of Barbara Bervoets, Ben Heine, Cracotte, Wim Wessling, Sjoukje Bierma, Dirk Wangemans, and Ute Faber. Great artist! 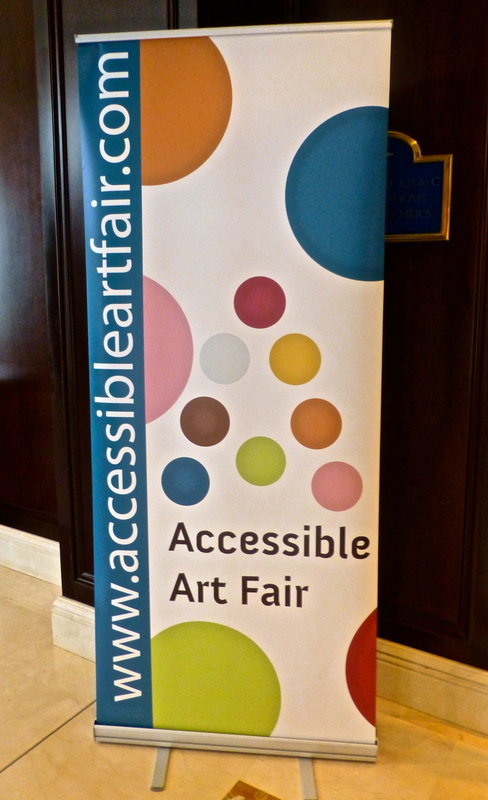 If you want to check out more of their works or learn more about them go to the Accessible Art Fair website. 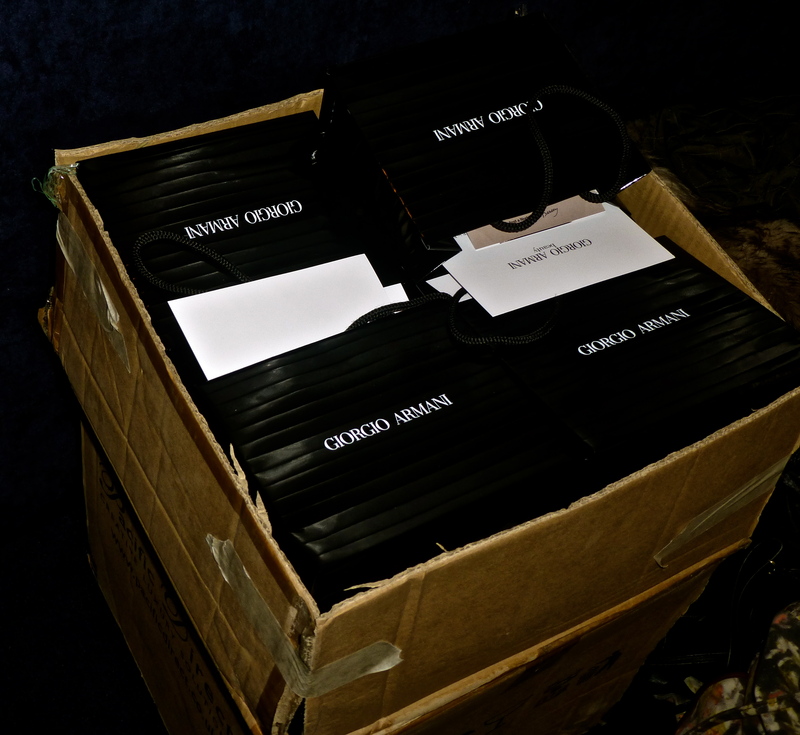 One of the things I had to do on friday was make Armani goodie bags for the VIP night on saturday. We redid the bags like 3 times because we kept finding things that needed to be added to the baggies. First we found flyers, then make-up remover, and then foundation (They were cosmetic goodie bags.) Finishing the bags was a true accomplishment for us. 🙂 The night was very busy! It was a great opening night. I was placed to work the cloak room and got to meet some new people, who volunteered to work the event, with very interesting backgrounds. 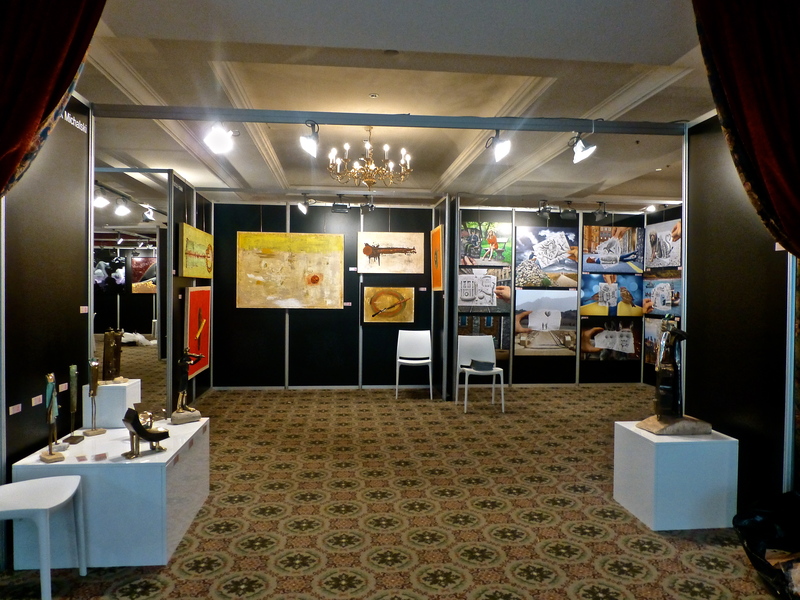 Today was the last day of the Art Fair. I did the most wrapping of art works today. It was actually pretty fun. 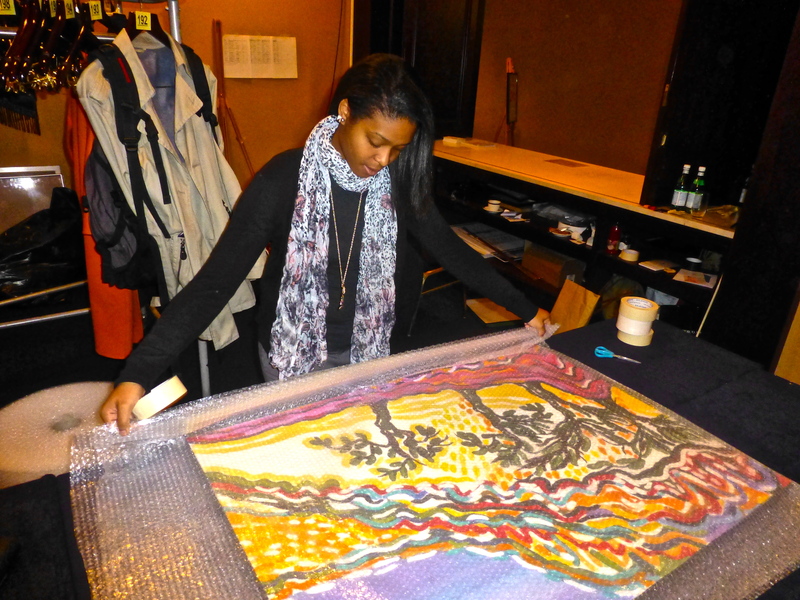 Apparently you can make a career out of wrapping art works in New York (one of the artist from New York told us that.) There’s specific ways to wrapping different types of works. After this experience, surrounded by so much art, I have to say I truly have gotten a new found love for paintings and sculptures! The time and skills it takes to creating something so beautiful is absolutely amazing! this was truly a learning experience and I would do it again in a heart beat! This entry was posted in Semester in Belgium and tagged Art, beauty, Belgium, brussels, Europe, experiences, intern, internship, postaday on September 23, 2012 by SimplyTiff.